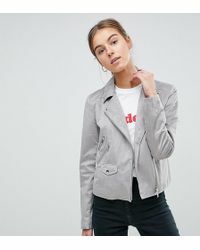 The ASOS brand is a well-established name in British fashion offering a wide range of styles and lines to fashion conscious women and men who are hungry for the latest trend driven looks. 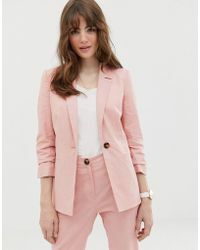 The label covers everything from tops and trousers to jumpsuits and lingerie and there are specialist lines for plus size, maternity and petite. 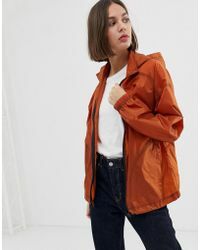 The range of ASOS jackets include pretty floral kimonos, structured biker jackets and cool parkas. 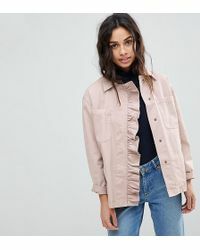 Elegant longline duster jackets, cosy faux-fur singlets and cropped blazers are also part of the range, as well as gorgeous capes and super flattering peplum styles.